Aero Express is an Authorized Distributor for the Barfield AC2K Test Set. Aero Express will buy, sell and trade the AC2K depending on your needs. 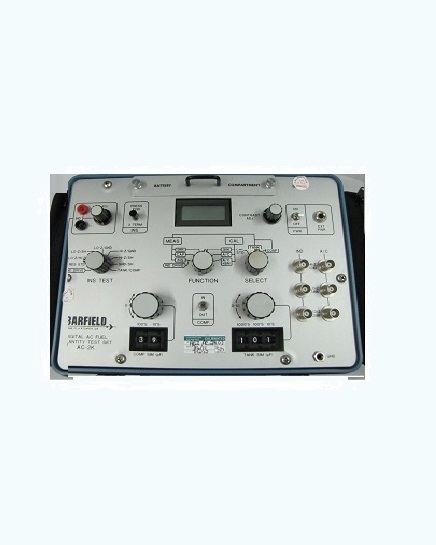 The AC2K Digital Fuel Quantity Test Set is a universal tester for AC Capacitance type systems. This unit in conjunction with the appropriate Adapter Cable interface provides the operator with a complete test system. 1-Year Factory Barfield Warranty on all new products. Express Calibration is an Authorized ISO-17025 Calibration and Repair shop for the Barfield AC2K. Visit www.expresscal.com for full capabilities. All units will be sold with a current calibration certificate. If factory new, a manufacturer’s Certificate of Conformance (C of C) will be provided. Since its inception, Express Calibration Services has supported Aero Express’ endeavors in providing test equipment support services. They perform calibrations for General Aviation, Corporate Aviation, OEMs, FAA Repair Stations, Military, as well as Regional and Air Transport Airlines. Express Calibration Services offers their services when you have a requirement for calibration or repair of your test equipment.